Would You Believe the First Apologists Were Messianic Jews? Who were the first apologists? Believe it or not, the first apologists were all Messianic Jews. You may say “Well, what are Messianic Jews?” Messianic Judaism is not new at all. All the authors of the New Testament were Jewish (with the possible exception of Luke). For many years the early faith in Jesus was strictly Jewish in both orientation and practice. Hence, the early Church was 100% percent Jewish! We see the growth of Messianic Judaism in The Book of Acts: (Acts 2:41) 3000 Jewish people come to faith at Pentecost after Peter’s Sermon (goes up to 5000 in Acts 4:4);(Acts 6:7) “The number of disciples increased rapidly and a large number of priests became obedient to the faith”; (Acts 21:20) Within twenty years the Jewish congregation said to Paul- “You see how many thousands (in Greek, it is literally “myriads” or “ten thousands” or “countless thousands.” Hence, we see at least 100,000 Jewish believers in Jesus. The apostles approach to spreading the message of the Good News is characterized by such terms as “apologeomai/apologia” (Acts 26:2; 2 Tim. 4:16; 1 Pet 3:15), which means “to give reasons, make a legal defense” “dialegomai” which means “to reason, speak boldly” (Acts 17:2; 17; 18:4; 19:8), “peíthō” which means to persuade, argue persuasively” (Acts 18:4; 19:8), and “bebaioō” which means “to confirm, establish (Phil 1:7; Heb. 2:3). Obviously, we see our first Gentile convert in Acts 10 (Cornelius). It was only over a long period where the Church become a predominately Gentile based phenomena. To read more about this, see The Ways That Never Parted: Jews and Christians in Late Antiquity and the Early Middle Ages by Adam H. Becker and Annette Yoshiko Reed. Isn’t it nice that we as Gentiles are no longer “excluded from the commonwealth of Israel” (Eph .2:11-13), and “without hope.” May we thank God for allowing us to participate in His redemptive plan for the entire world. To see the historical basis and background of Messianic Judaism, Introduction to Messianic Judaism: Its Ecclesial Context and Biblical Foundations by David J. Rudolph. 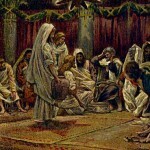 But with acceptance of Jesus as the Messiah comes much opposition and objections from within the Jewish community. Also, it should not be surprising that the Jewish community has formed its own set of objections to Jesus and the claims of His followers. Many Jewish people who come to faith in Jesus can be ostracized by their own communities. I even know some who have been disowned by their own families. What was the Message of the first Messianic Jewish Apologists?